Is there an easy unsubscribe? To comply with the GDPR legislation, there must be a link telling them who will own the data, and how to unsubscribe from it on every communication. Make sure your email address and mailing address is on each communication. Who is responsible for the data? You must tell people who is responsible for the data you hold and process – this person must be registered with ICO as a registered Data Controller. Additionally data processors (in other words anyone dealing with the data) also have direct obligations to process data correctly – you cannot outsource this responsibility and neither can they say they were completing arms-length transactions, if you are processing data, you are both responsible. NB: Virtually Sorted has been a Registered Data Controller with ICO since 2005 and always checks that our clients are following best practice. 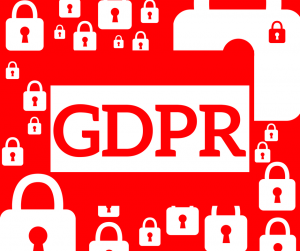 If you would like some help preparing for GDPR in May 2018, cleansing your databases, or assessing security risks please get in touch.